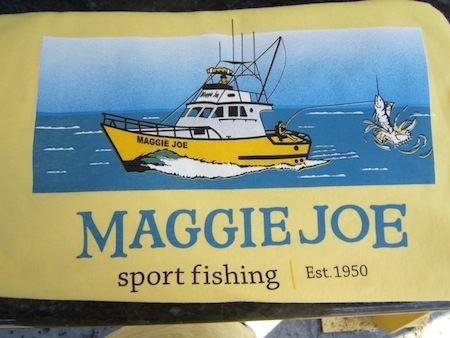 Front of Maggie Joe Fish Shirt. Available in Yellow and White. Long Sleeve - $25, Short Sleeve - $20. Blue Hat. Flex Fit. $20. Hawaiian Print Women's Hat. Available in Blue and Pink. Flex Fit. $20. Camo Hat. One size fits all. $20. If you would like to purchase our apparel please let us know through the Contact Us page and we can ship to you! Mahalo! The Throwback is available in Yellow only and sizes S, M, L, XL and XXL. 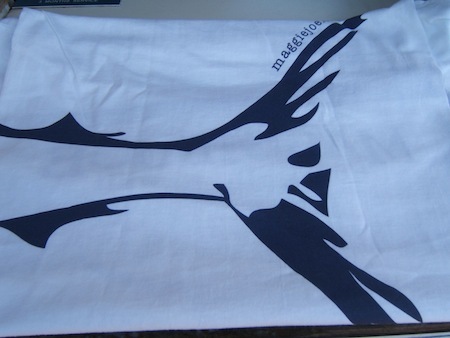 Long sleeve – $25, Short Sleeve – $20. 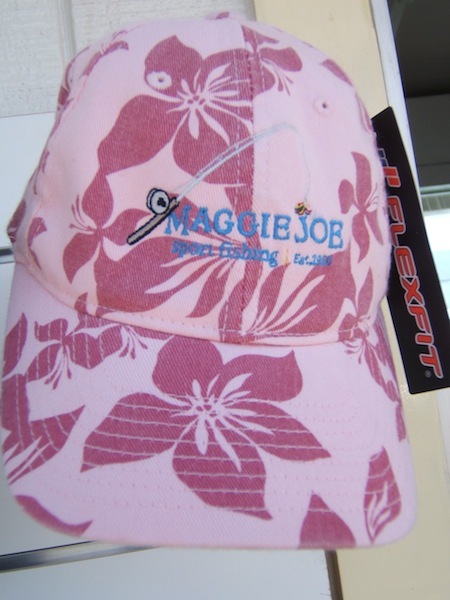 The design on the Throwback goes back to 1980 when the Maggie Joe was built. 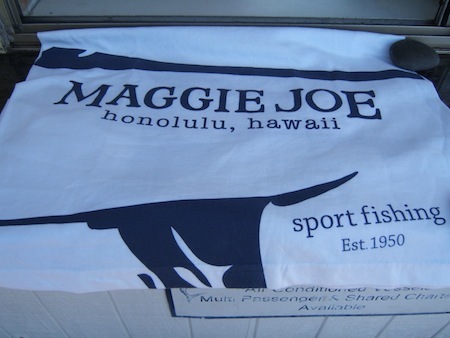 This was Maggie Joe’s first shirt design and we are glad to have it back! For more photos of available apparel please go to our facebook page and click on our Apparel Album or go to our Apparel Gallery. 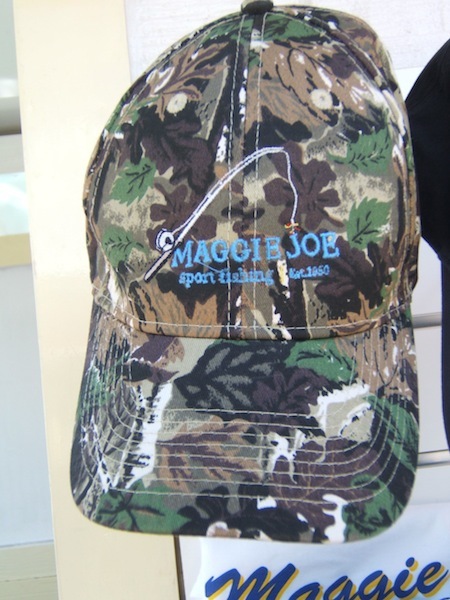 If you would like to order Maggie Joe apparel please let us know by going to our Contact Us page! Mahalo! 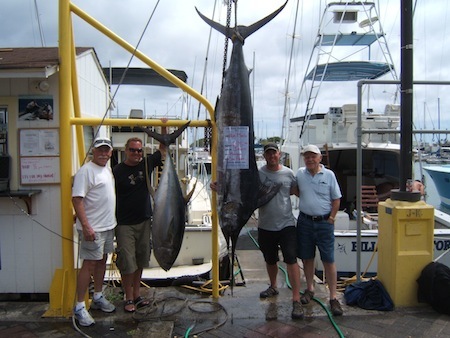 Szymanik's and 105 lb Ahi! 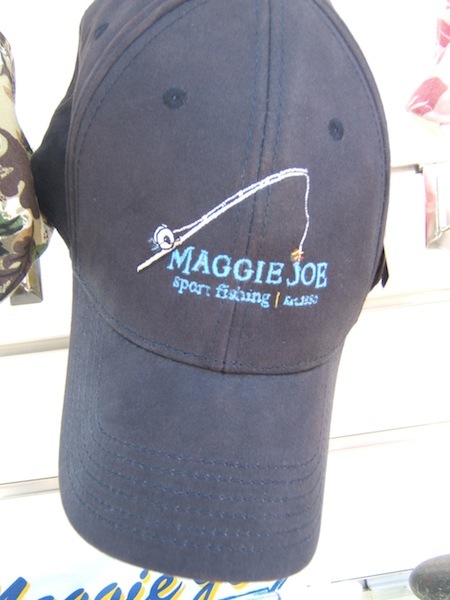 Mahalo to the Szymanik’s for choosing Maggie Joe Sport Fishing! The family departed Kewalo Basin, next to Waikiki, aboard the Sea Hawk on a full day sport fishing charter with Captain Matt and Mate Rob. 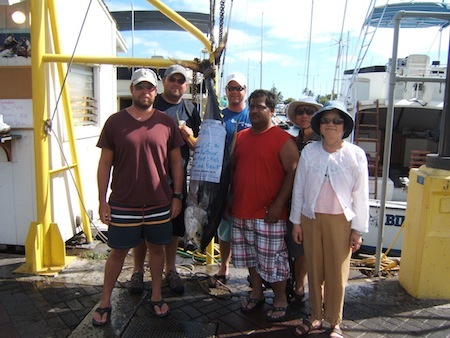 They hooked up with this 105 lb Ahi while deep sea fishing outside of Honolulu, Oahu. Arthur climbed in the fighting chair and hauled the fish in. Great job and aloha! 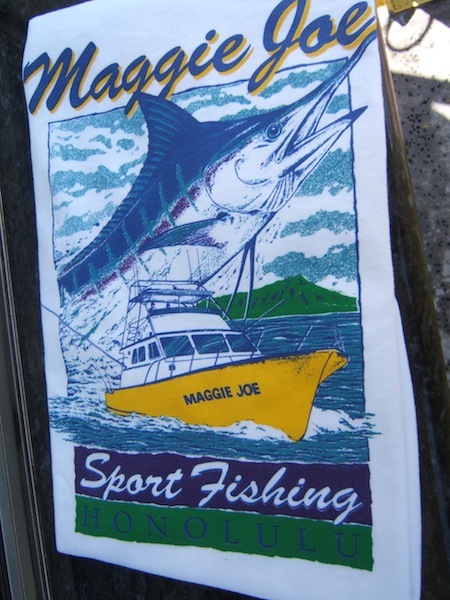 Mahalo to Jason, Jeremy, Jim and Jack for choosing Maggie Joe Sport Fishing! The guys went out with Captain Morgan aboard the Sea Hawk on a private sport fishing charter. 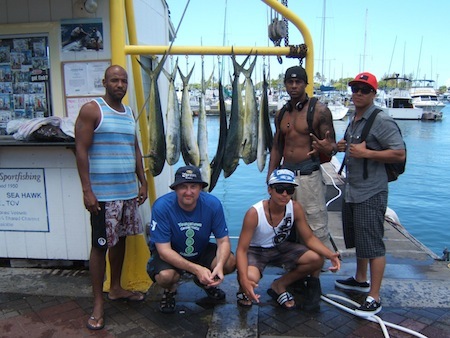 They spent the day deep sea fishing outside of Honolulu, Oahu. They hooked up with and reeled in the 275 lb Blue Marlin around noon and as soon as they got the fish in the boat and lines back out the Ahi bit. Thanks for the fun and we can’t wait to see you guys out on the water again! Aloha! Viramontes party with 10 Mahi Mahi! The Viramontes party joined Captain Matt and Captain Morgan aboard the Ruckus on 7/25/11 on a 3/4 day private sport fishing charter. The guys hauled in 10 Mahi Mahi while deep sea fishing outside of Honolulu, Oahu! Great job and enjoy the fish at the wedding! Aloha!